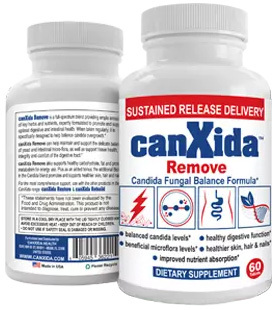 Candida Case Studies: Meet Ann - YeastInfection.Org by Eric Bakker N.D.
Ann, age 62, is a retired accountant who had been suffering for as long as she could remember with headaches, nasal congestion, irritable bowel syndrome and several other complaints including a persistent fungal complaint involving several toenails. Six years ago Ann was diagnosed with rheumatoid arthritis. During the consultation, we uncovered two root canalled teeth that had been sensitive for several years. I referred Ann to a dentist friend who examined her mouth and mentioned that her two teeth required extraction because a low-grade infection was present. After careful extraction, the sockets were carefully cleaned and we waited until her mouth was sufficiently healed before we undertook a detoxification program that lasted about six weeks. It took approximately four months of treatment, but her painful fingers and wrists were getting less painful by the week, and after six months the pain had gone from a scale of eight out of ten down to two out of ten. Ann had improved so much, here headaches were long gone and so was the nasal congestion. The bowel was now almost back to normal. We had Ann on the Hypo-Allergenic Diet that she had followed religiously for almost six months until one day she decided, “enough was enough.” She started to drink a glass of wine with dinner each evening and then the chocolates crept back in. She was in my room two weeks later complaining that the pain had crept back up to six out of ten and was steadily getting worse by the day. I asked Ann what had happened, and her reply: “Well, I was feeling so good I thought that a glass of wine here or there wouldn’t hurt me.” She said that she was “disappointed” with the treatment and felt that she was “going backwards”. This is when I showed her the diagram above and said that it common for somebody who had been unwell to experience what she was going through. You improve and then think all is well, that you can go back to your “normal” lifestyle. I asked her this: “Did you improve initially?” and she said emphatically “YES, I haven’t felt that well for as long as I can remember.” That’s when I said “Well, we must have been on the right track, the problem is that we didn’t keep on the path long enough, somehow you became lost and took a side-track.” Ann’s husband said that his wife thought that she was “cured,” and this is what I commonly find with many folk. They start out with the right intentions and want to get well bad enough to be good for several weeks to several months. But then the boredom sets in; the patient becomes frustrated and wants to resume the same diet and lifestyle they had prior to developing the complaints. What they may not be aware of is that it was probably several of these lifestyle and dietary factors that contributed to the demise of their health initially. Ann left my clinic understanding that it was all up to her. It is going to take time. There will be plenty of ups and downs. No smooth sailing. No quick fixes, no BS. Is she is going to get 100% well she has to work for it and be persistent and logical in her approach. I said that I wanted her in my room in three months with a pain level of one out of ten and showing much-improved signs of fungal toenails. I have found that as the gut improves, the fungal nails slowly disappear. You will see a clear demarcation between a healthy toenail growing out and the fungal nail above it. This is a sign to me of digestive improvement in most cases. I know Ann; she wants improvement bad enough and is that sort of person who needed to learn the relationship between cause and effect which she did. After a good talk Ann decided that this was it, she’d had enough and would return in twelve weeks with no pain. Are you like Ann? Are you going to be patient as a patient, or do you put a time limit on your recovery? Forget it, I leave that to the medical doctor who will give drugs and expect to turn symptoms off. I want to see my patient well enough in time to never have to resort to toxic pharmaceutical drugs ever again. Taking drugs to “cure” candida is very short sighted and will never give you the result you are looking for permanently. And, you will never feel well overall in your mind, body and emotions either. The bottom line is to expect ups and downs but they will smooth out in time and you will feel better in time, better than you most probably have felt in years.